This is the Silver Limited Edition Lightning McQueen! Silver McQueen is $99.50 and limited to an edition of only 250 pieces. Disney Store guests will get a first look at this year’s hottest Halloween costumes, join in Disney Store’s 25th Anniversary kick-off celebration, and get a first look at the Disney Princess Designer Doll Collection. Make sure to take home the Disney Store magic and shop exclusive merchandise when you stop by our pop-up store in Disney Consumer Product’s Disney Living Pavilion. The next one is the the Disney Store 25th Anniversary 3” Vinylmation with Pin ($26.95). 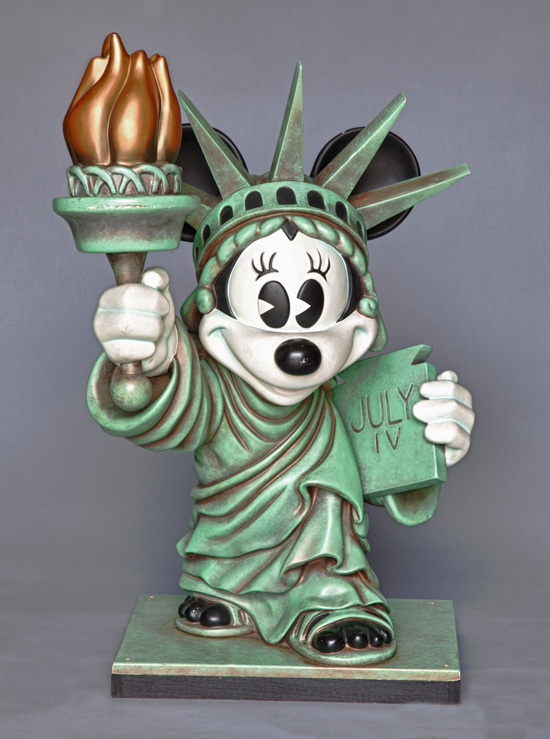 The figure was designed by Disney Store Artist, Enrique Pita. The vinyl and pin set is limited to a total edition of 2,500. D23 Expo guests will have the first opportunity to purchase the set, but for those who aren’t attending the Expo don’t worry; D23 members will still have the opportunity to purchase the set after the Expo only at DisneyStore.com/D23. 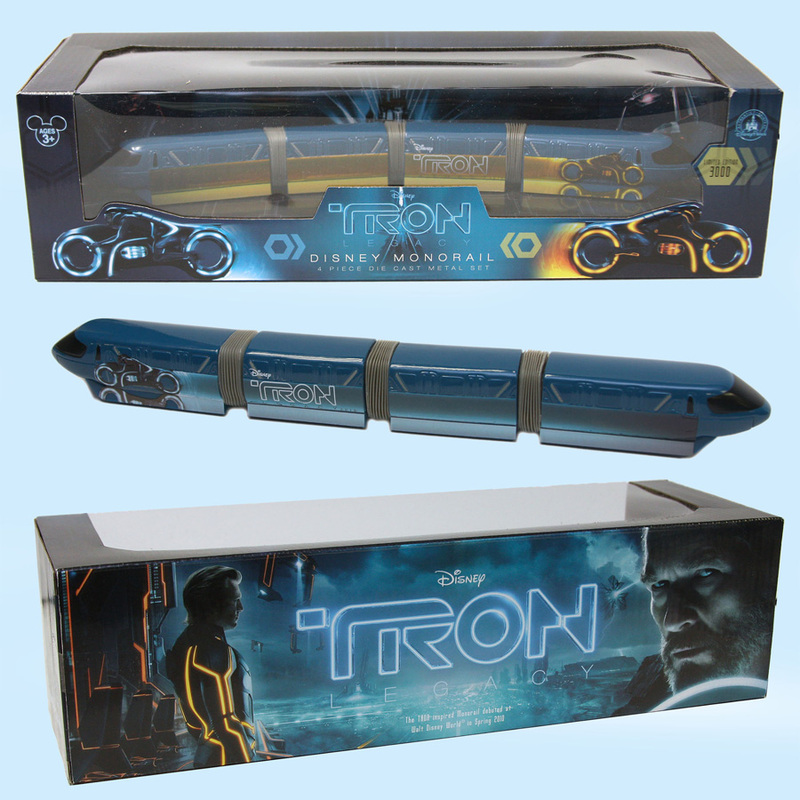 "You may recall that I’m a huge fan of anything Tron. I remember the day in March 2011 that Cody Hampton, Associate Product Developer for Toys and Games, shared with me the first sample of this new die-cast vehicle. I was as excited as the first day I saw the actual “TRON: Legacy” monorail at Epcot. The monorail measures approximately 12 inches long and has wheels on the bottom of it. 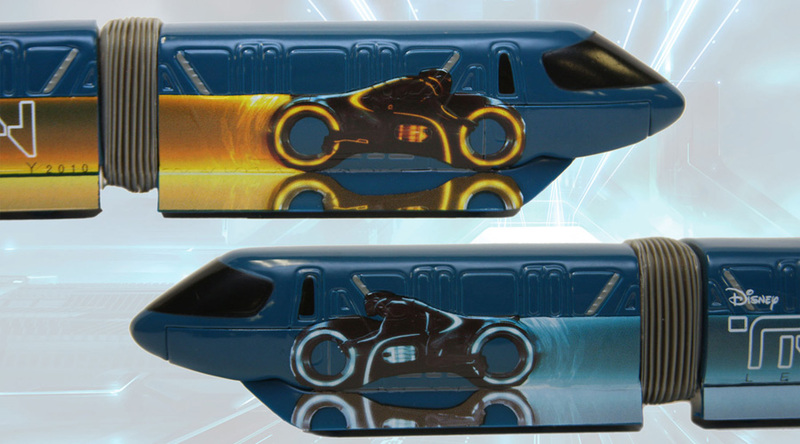 The toy will have an edition size of 3,000 and will be packaged two different ways – Sam Flynn’s blue Lightcycle version and Clu’s yellow Lightcycle version (roughly 1,500 of each packaging version were made). 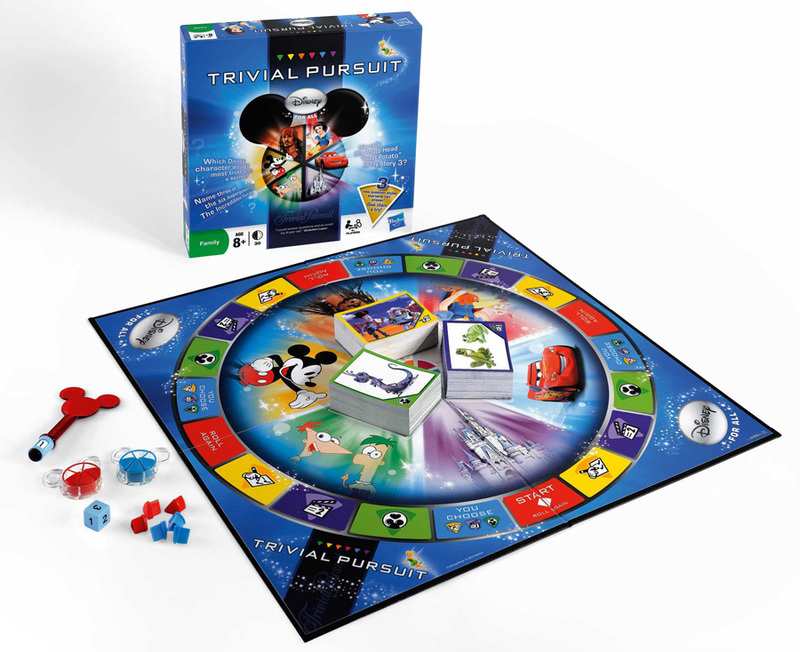 While the toy will debut at the D23 Expo, there will be limited quantities also offered at the Walt Disney World Resort." 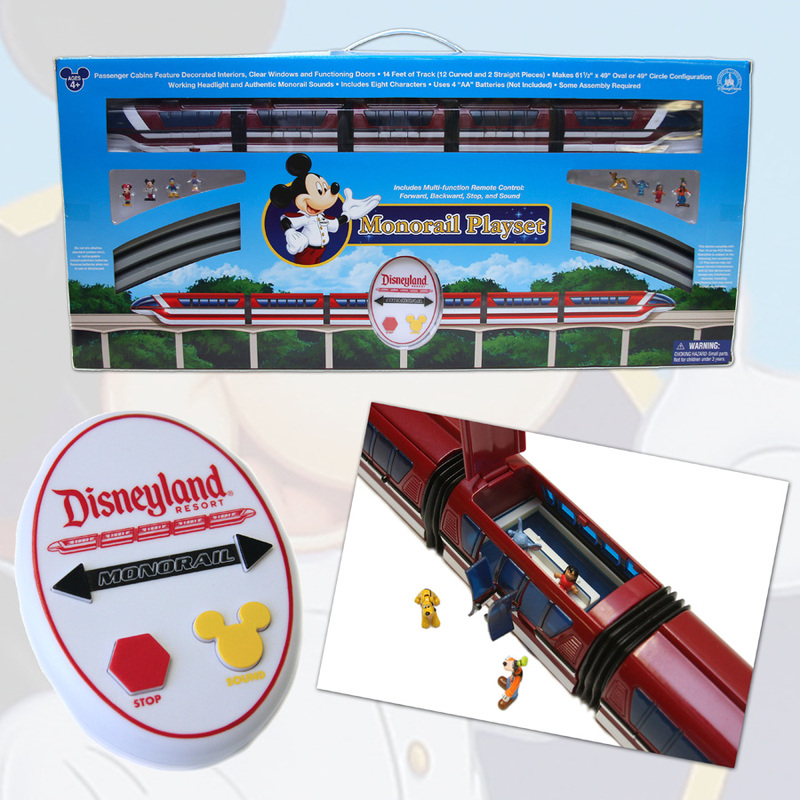 "Speaking of monorails, this past April I gave you a first look at the new Disneyland Monorail toy that is coming to Disney Parks. One of the coolest new features which Cody didn’t want to spoil is the remote control, a first for the monorail playset! When the sound button is pressed, you will hear the infamous monorail welcome spiel. Similar to the actual Disneyland Resort monorail, the doors only open on one side. The tops on some of the cabins also open so mini-figures can be placed inside." Do you know what year the monorail was first introduced at Disneyland? The official opening was June 14, 1959, and it was the first daily operating monorail in the United States. If you answered that question correctly, then I challenge you to a game of “Trivial Pursuit: Disney For All” edition. Alright Disney fans, with only 10 days left, the D23 Expo countdown is officially on. I hope you have your tickets. I do. I’m so excited to see some of the presentations that are scheduled and from what I’m hearing, there’s a lot of buzz about the Disney Parks and Resorts “Carousel of Projects” pavilion, so I am calling that out on my list as a “don’t miss.” And of course, I will be working the D23 Auction so I expect to see all of you there. Since this is my last D23 post before the Expo begins, I thought I would give you a couple of last minute reminders, including a sneak peek at the Pinocchio’s Daring Journey attraction sculpture set to release during the Expo from expert miniaturist and sculptor, Robert Olszewski. This is just one of the “must have” debut items bound to be on everyone’s shopping list. 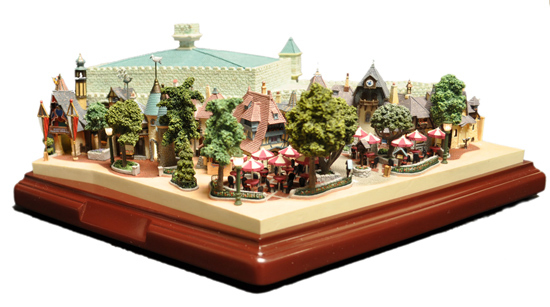 This newest piece from Olszewski takes collectors one step closer to completing the Fantasyland area. My grandma’s favorite Disney film of all time is “Pinocchio,” so I guess you could say I have a soft spot in my heart for the characters and the attraction, which makes this piece an instant hit for me. 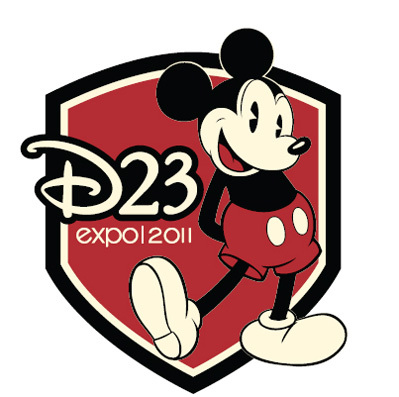 Reminder for D23 Members attending the Expo – be sure to ask about the D23 Member exclusive Pokitpal. Now I know that many of you are also familiar with Disney artist Dave Avanzino. 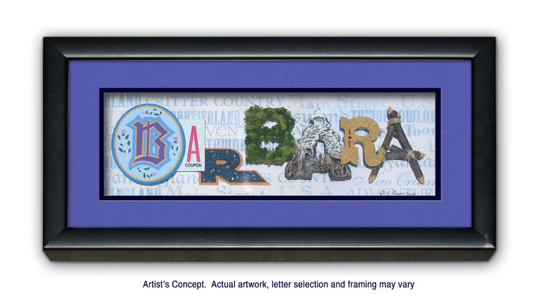 Known for his impressive and intricately detailed paper sculpture art, Dave will be making appearances in the Dream Store during the D23 Expo, where he will debuting a new program in which you can select some of your favorite Disneyland Resort attractions and icons to spell your name. What else? How about a handful of new releases from ACME Animation Archives or the latest DVD and book releases that are sure to set your imagination spinning. Renowned authors Ridley Pearson and Dave Barry will be making an appearance, along with author and filmmaker Don Hahn. Also on hand for signings and meet-and-greet opportunities will be Ted Thomas and Kuniko Okubo, Gregg Sherman and Jeff Sherman as well as Alex Maher, Robert Olszewski, Larry Nikolai, Noah, Linda Rick, Eric Scales and Thomas Scott. I’m beyond fascinated with time. Whether you believe that time is linear or cyclical, the biggest challenge I face is that I never have enough of it (oh, 36-hour day – where are you?). 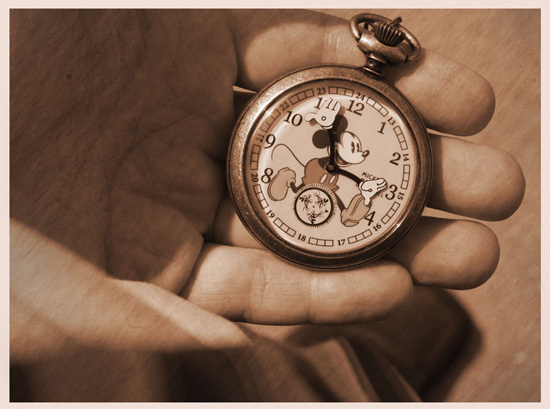 Luckily, there are several new timepieces coming to Disney Parks that will help me keep track of my disappearing time. 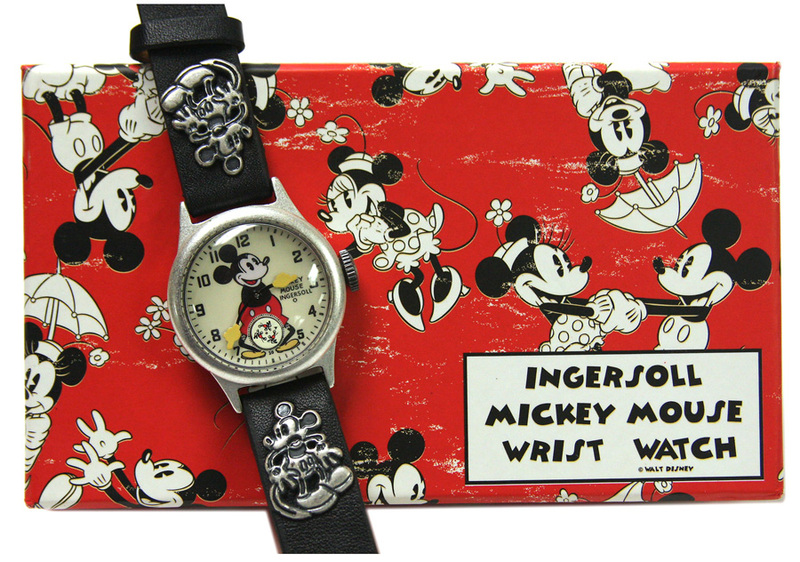 Some of these new timepieces salute the first Mickey Mouse watches made by the Ingersoll Waterbury Clock company. Signed by the late Disney Legend Kay Kamen, Ingersoll was the first Disney licensee to introduce Disney watches at the 1933 Chicago Exposition. The original watches were an immediate hit and are now highly desired collectors’ items. I spoke with Tracie Alt, Product Developer for Timepieces, about the introduction of these tribute timepieces. I think my favorite is the pocket watch as it reminds me of a pocket watch I had when I was younger (except I think I need a waistcoat). Good news if you are attending the D23 Expo this coming weekend! 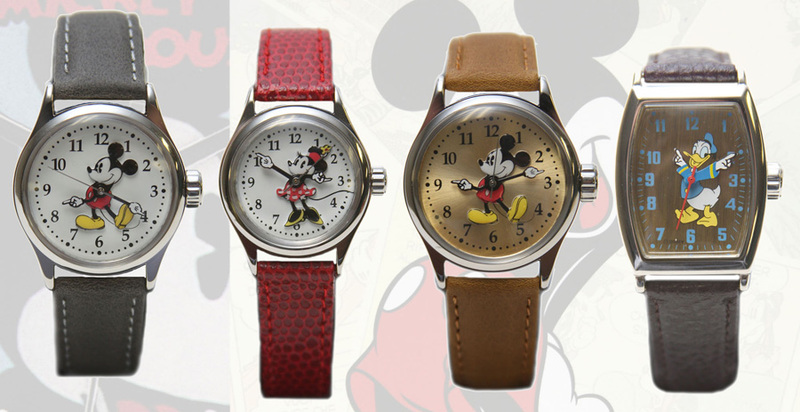 These Mickey Mouse watches will debut in the Dream Store. Tracie also told me that guests attending the Expo will get a sneak preview of something new. Spoiler alert for my mother – I think I found your next birthday gift. She is a Minnie Mouse fan yet I’m drawn to the Donald Duck design. Each classic Disney watch will be packaged in a Mickey Mouse shaped metal tin. I have “time” for one more preview (yes, I write all the jokes). My fellow Disney Parks Blog author Michelle Harker shared with me this artwork by Disney artist Eric Scales. 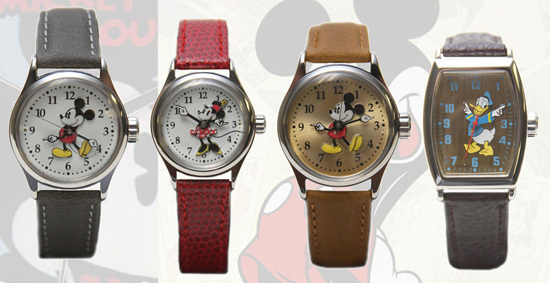 The designs are part of the Artisan Watch Program at Disney Parks and were created especially for the D23 Expo. Each watch will have an edition size of 100 and a retail of $125. 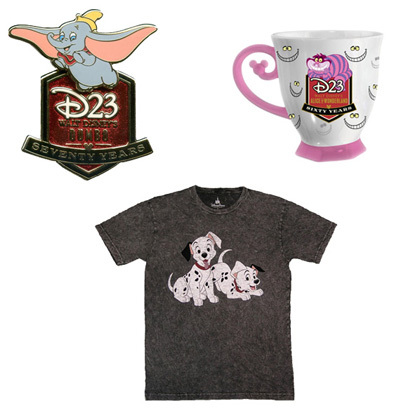 What I can tell you now is that the Dream Store will be filled to the brim and bursting with D23 themed merchandise and other specialty items from Disney Theme Park Merchandise, including D23 Expo logo assortments to Disney-inspired art and collectibles, ear hats, pins, Vinylmation and more. It will be a Disney enthusiast’s dream come true. From the timeless look of Mickey Mouse to assortments filled with classic characters, you’ll find something for everyone, no matter the occasion. 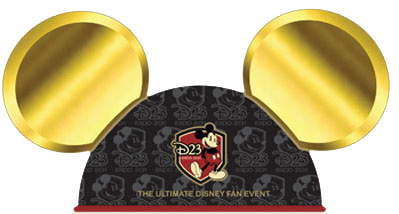 The heart of this collection is the official logo of the D23 Expo 2011, the ultimate Disney fan event. Here’s a look at the D23 merchandise logo and a sneak peek at the art for the limited edition ear hat. Also “in store” for you are releases from the Disney Vintage Collection which pays tribute to attractions from yesteryear. Giving the feel of the 1950s and early 1960s, this program is sure to become a treasure for any Disney fan. I wanted to share one last thing with you before I go. Each day the Dream Store will release a limited assortment of commemorative merchandise from our D23 Expo Anniversary Collection, including t-shirts, mugs, pins and more, themed to the following Disney classic films, Walt Disney’s “101 Dalmatians,” “Alice in Wonderland” and “Dumbo,” in celebration of their historical anniversaries. Next week, just wait until you see what I have in store for you for the D23 Live and Silent auction. For now, all I can tell you is that there are behind-the-scenes tours and experiences, original artwork that is sure to dazzle you and artifacts and props that would make any collection complete. Remember tickets to the auction are on sale now. So don’t miss out! Take a look at the actual list and some of the images of the lots set for the auction block come Saturday, Aug. 20, as part of the D23 Expo 2011 Live and Silent Auction. Have you ever wondered what it takes to make the magic come alive? Our artists know firsthand, that’s for sure. 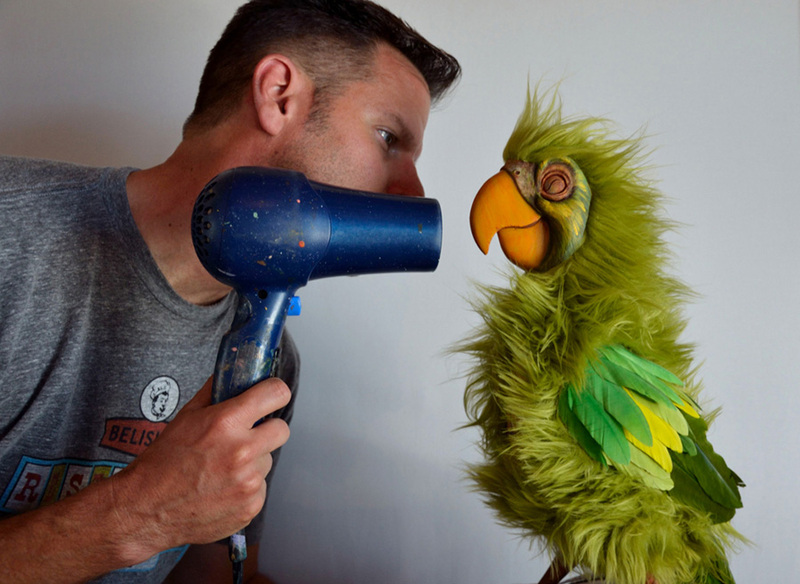 They say that birds of a feather flock together, so here’s a behind-the-scenes look at artist Kevin Kidney who – in my opinion – is never one to ruffle any feathers, but in this case he’s putting the final touches on the Pirate Barker Bird, replicated in exquisite detail from the parrot which appeared in the Pirates of the Caribbean attraction in Magic Kingdom Park at the Walt Disney World Resort. See the completed piece by Kevin Kidney and Jody Daily on www.ArtofDisneyParks.com. What else, you ask? How about out-of-this-world experiences, like a tour of the newly re-mastered Star Tours – The Adventures Continue attraction or go behind the scenes of the Walt Disney Animation Studios for a one-of-a-kind advance screening of Disney’s “Naughty vs. Nice,” the sequel to the beloved ABC special “Prep & Landing,” where you’ll find out the inspiration behind it all with the producer and directors of this holiday classic. 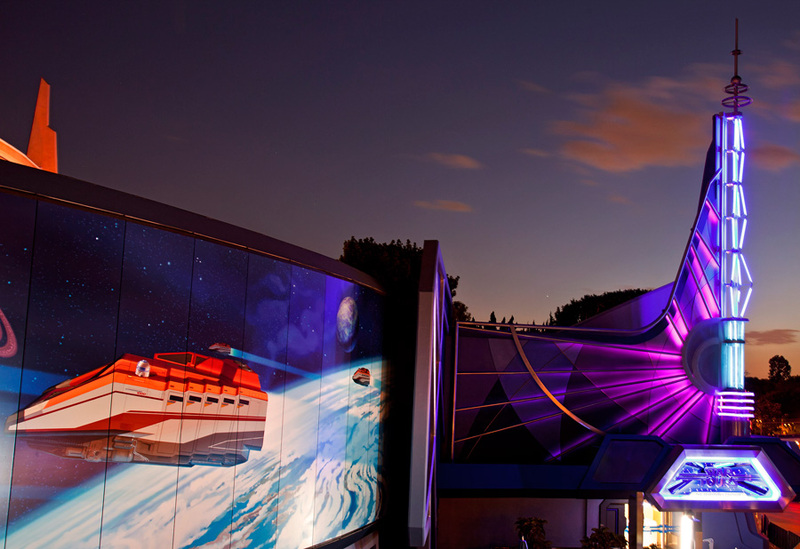 Maybe you’d like to explore Walt’s Hollywood? Or take a guided tour of the Walt Disney Archives… It doesn’t stop there. That’s just a sampling of some of the experiences being offered this year. Many of our Disney-inspired artists were also eager to hop on board, creating original pieces and custom items in a variety of different mediums. You’ll see creations from artists such as Dave Avanzino, David Bird, David Christiana, Ken Crow, Jody Daily, Chip Foose, David Garibaldi, Kevin Kidney, Greg McCullough and Larry Nikolai, among others. Up next, artifacts and props that are sure to draw some attention, from pirate skulls and cannons to materializing ghosts, from wild jungle animals to a wonderland of displays. Is that all? Of course not. This year, we are excited to host a Silent Auction experience, also taking place on Aug. 20. I see spots, sharp teeth, things of beauty, film and TV props and a statue familiar to all. Take a look! At this point you have to be saying to yourself, where do I sign up? ArtofDisneyParks.com has all the details about the Auction, including a look at all the Live Auction lots and even a few of the Silent Auction pieces. Tickets for the D23 Live and Silent Auction are $45 and available now at www.ArtofDisneyParks.com. 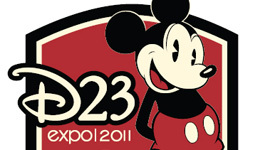 Remember, you’ll need a D23 Expo ticket too, so find out more at http://d23.disney.go.com/expo/.